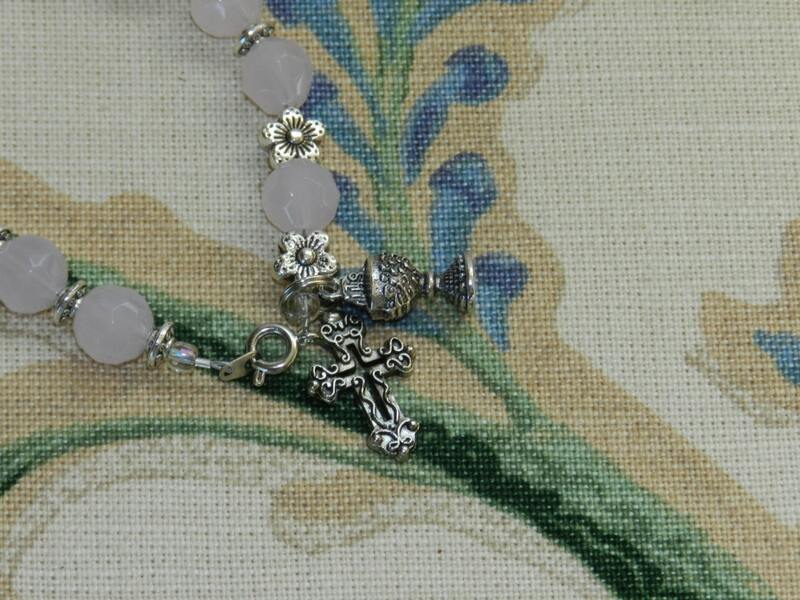 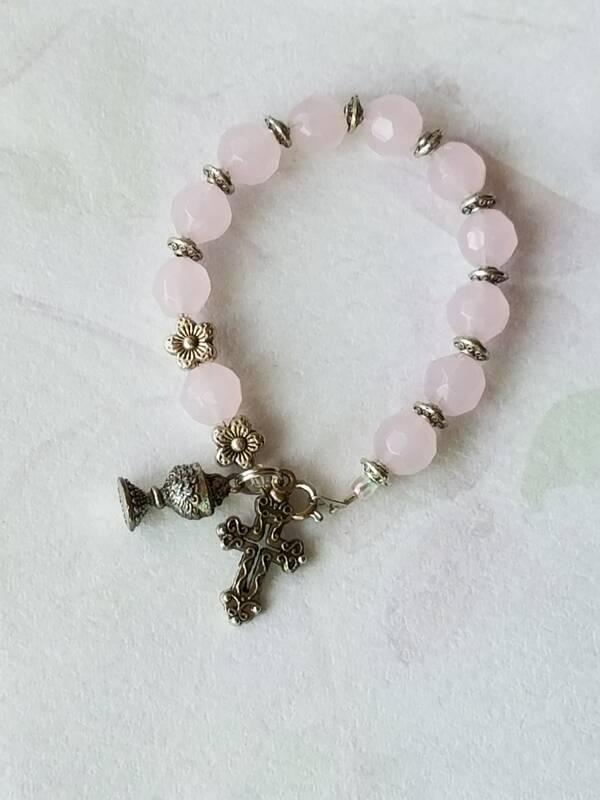 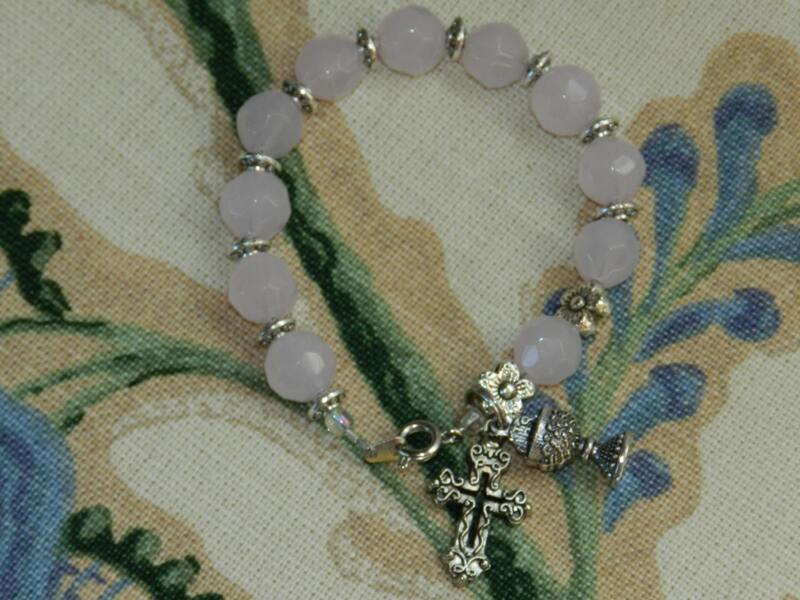 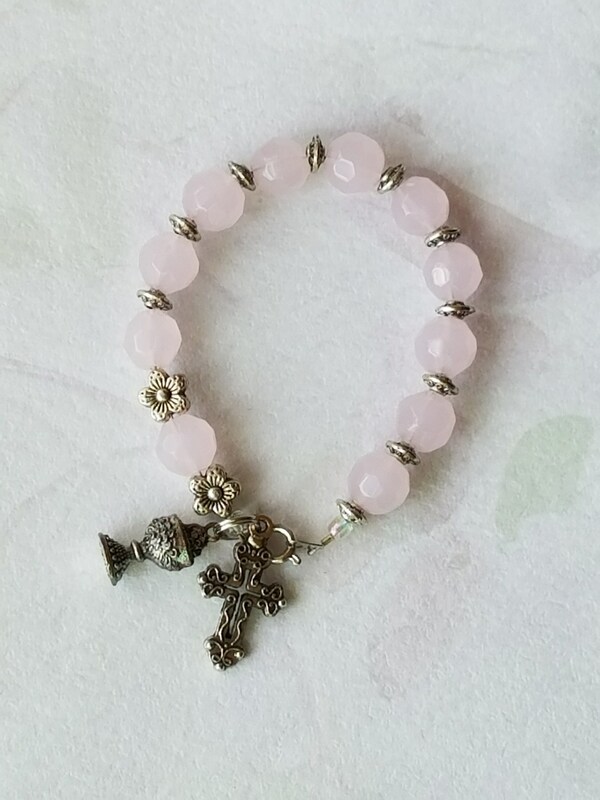 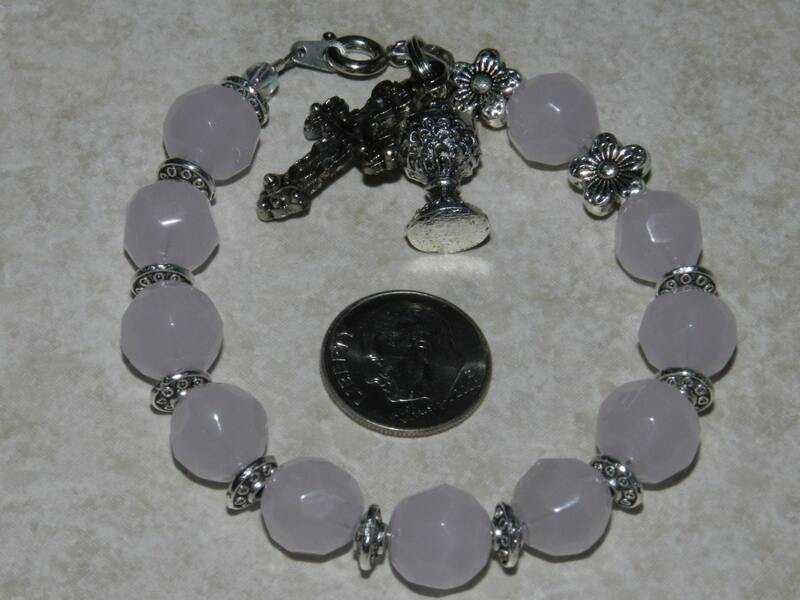 First Holy Communion Rosary Bracelet, translucent light pink, faceted round beads with antiqued silver IHS Chalice and cross charm, 7 1/2 in. 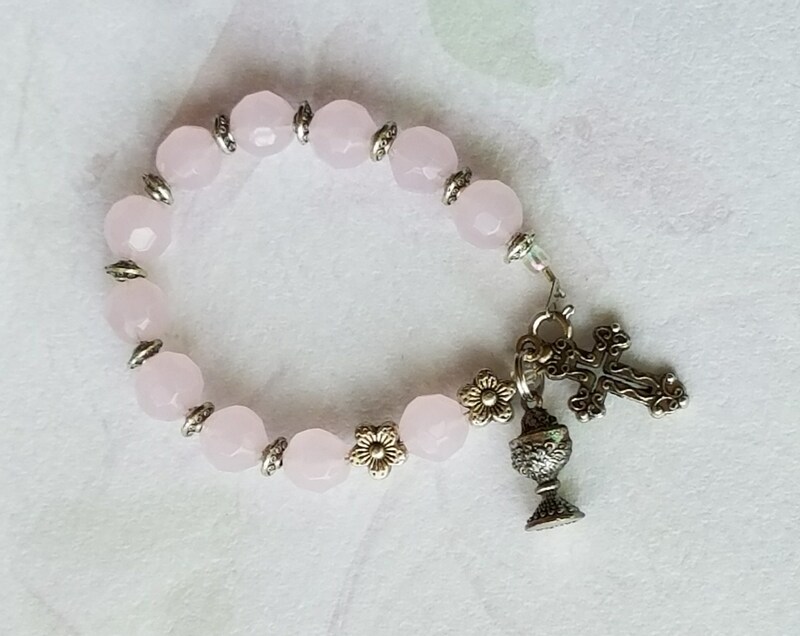 Bracelet. 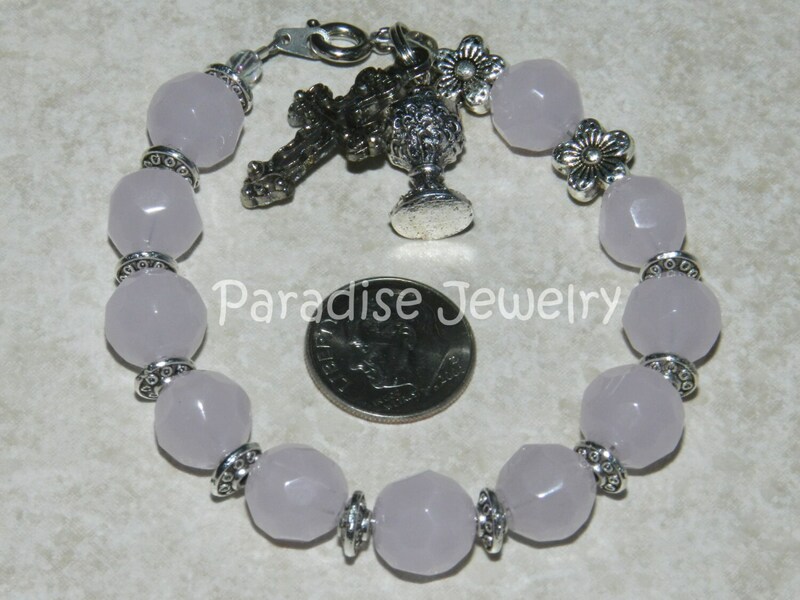 For coupons and deals like and follow us on FB!